They say that with age comes wisdom, and so does wisdom teeth. In your lifetime, your mouth can go through many changes. Although most of these changes happen while you are in your childhood years, one major milestone will only take place when you reach 17 to 21 years of age. This of course, is the appearance of you third molars. These are also known as wisdom teeth, simply because they only come through when you are at a mature age. 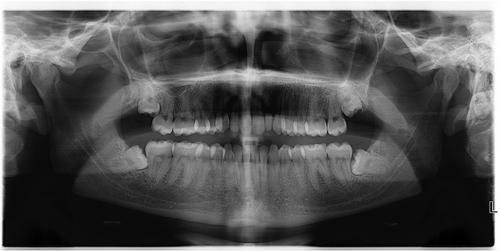 The proper development of wisdom teeth can actually help you chew your food better. Most people however, will feel discomfort as soon as it appears. Dentists recommend that if you are going through a lot pain, it might best if you have it checked right away. Wisdom teeth need room to grow, and problems can arise if there isn’t enough space for them to come out of. If your gums are overcrowded, your wisdom teeth can come out in the wrong position. They can also get impacted or trapped within your jaw beneath the gums. An impacted wisdom tooth can form a cyst. This in turn can damage the roots of nearby teeth or destroy the bone that supports adjacent teeth. A wisdom tooth that does not have enough room to grow can cause crowding and it can easily damage adjacent teeth. When a wisdom tooth erupts, it can allow bacteria to enter into the gums. This is why your dentist needs to check its surrounding areas for signs of swelling. This can also cause you to suffer from pain and stiffness in your jaws. Wisdom teeth that have not come through properly can make it difficult for you to clean them and the molars next to them properly. Wisdom teeth that have grown in the wrong position can cause food to easily get trapped. This area can easily become a breeding ground for cavity-causing bacteria. But before anyone can make any decision, you will have to get an x-ray. This will allow your dentist to recommend the best possible course of treatment for your wisdom tooth and for the rest of your teeth. Should you wish to keep your wisdom teeth, it is best if you will allow your dentist to continue to monitor it properly. This is because problems may still arise from it later on. As we age, we become more at risk for different health problems, and the condition of your wisdom teeth can deteriorate as well. This is why people who have wisdom teeth are recommended to visit their dentist regularly. They are also recommended to floss daily especially around each wisdom tooth. Regular dental checkups will help your dentist evaluate the condition of your wisdom teeth over the years.